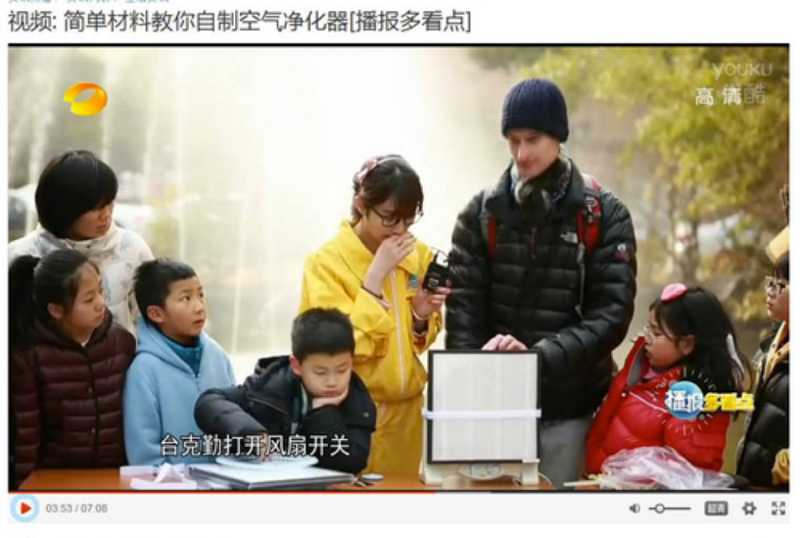 When I did my first experiments, several people told me not to publish the data. “Don’t give it away for free,” they told me. “Use it to make money!” I decided then that my main goal wasn’t to make money. 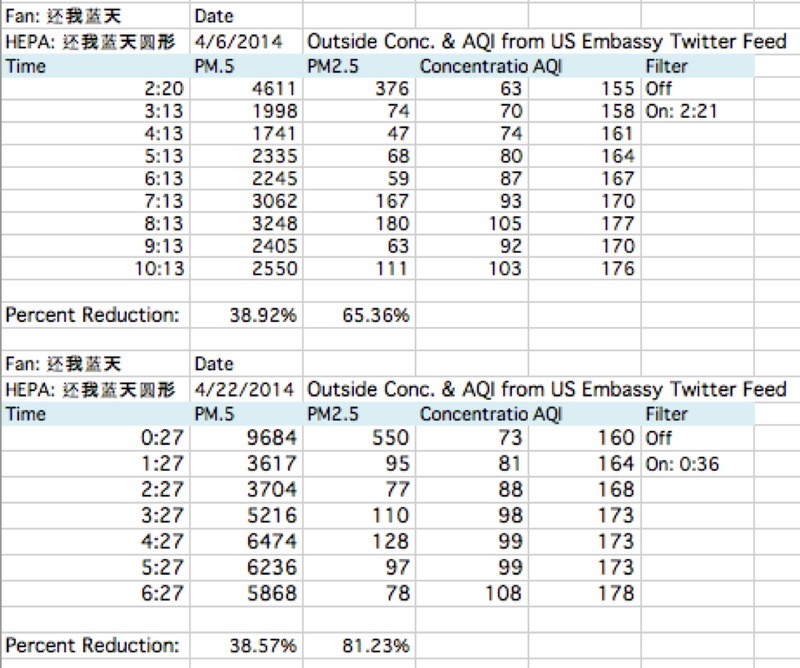 I almost got tricked into paying $1,000 for clean air, and I wanted to help people avoid getting tricked too, so I published the data anyway. 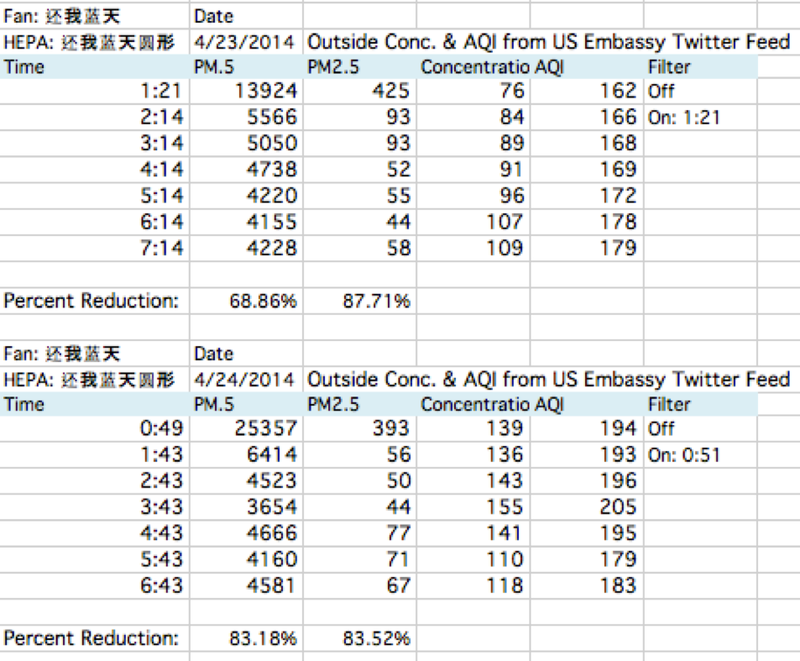 In the end, I think it’s better to publish the results and be honest about my conflict of interest. 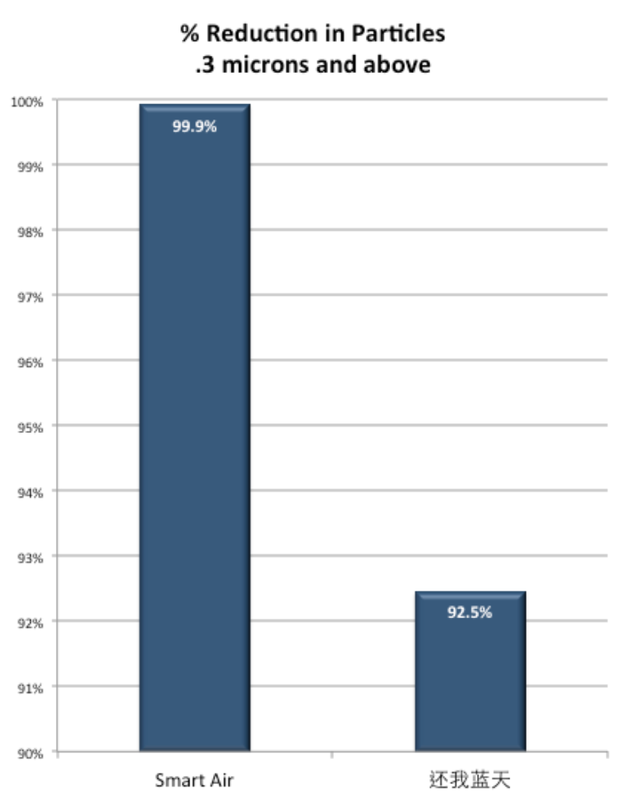 At the very least, I think people have an interest in knowing how well other DIYs work–especially when some of those websites use graphs that are lifted from my site, which can mislead people into thinking the test results are from their machines. 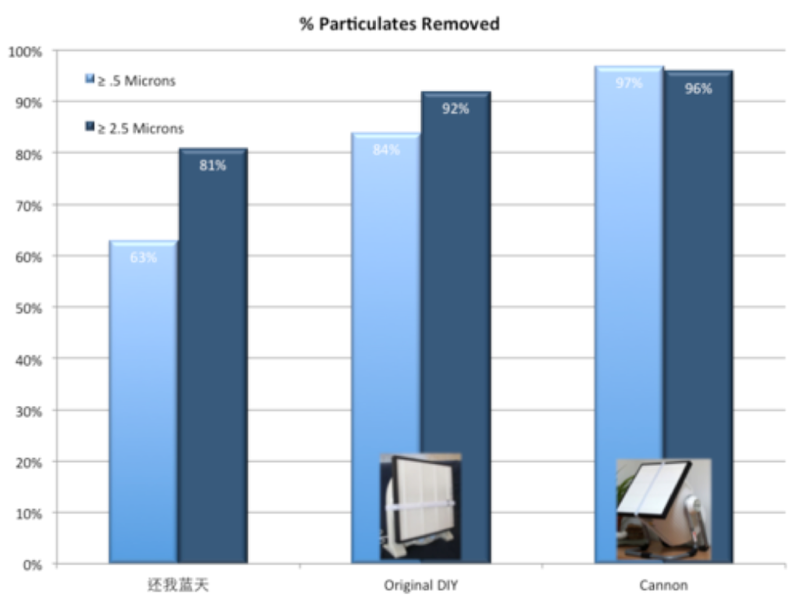 Results: The 还我蓝天 DIY removed 21% fewer particles 0.5 microns and above and 11% less 2.5 micron particles than the Original. Result: There wasn’t much difference. 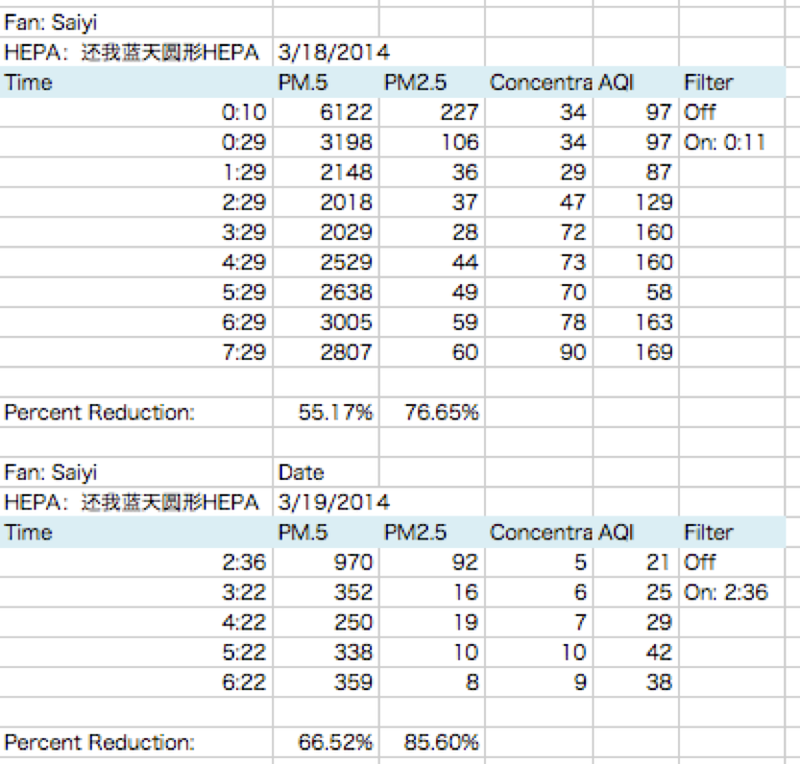 With the new fan, it was getting 4% more 0.5 micron particles and 2% less 2.5 micron particles. Thus, the fan doesn’t seem to be the reason. As always, I’m posting the raw data and more detail on the methods for fellow nerds. 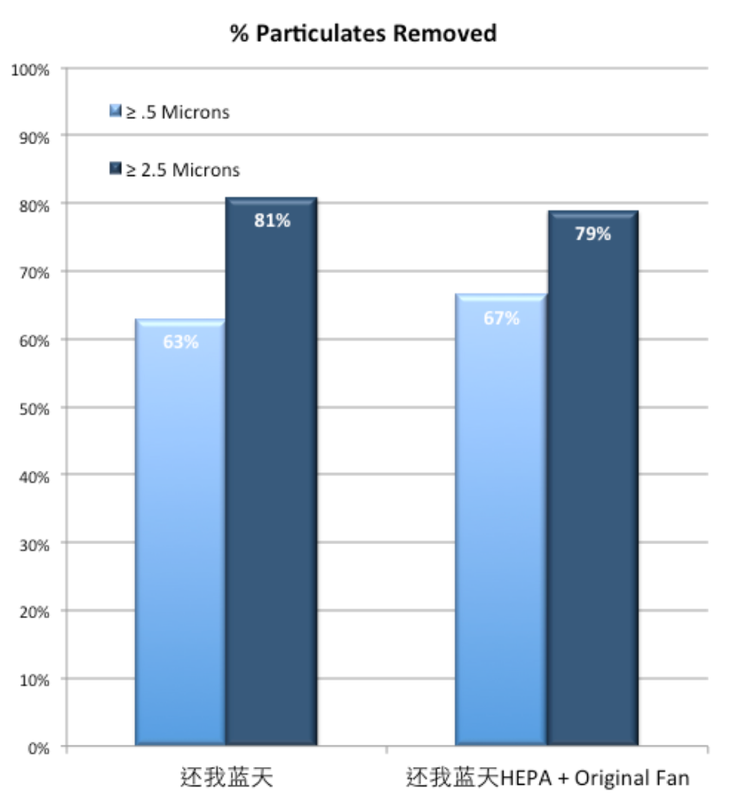 The Met One gives counts for particles 0.3 microns and above, which is important for HEPA tests because 0.3 microns is the particle size that is hardest for HEPAs to capture. The Met One uses a pump, which is better for regulating air flow than the fan in the Dylos. I think the fan is adequate for most tests, but pumps help keep a steady air flow when the particle counter is in a stream of quickly moving air (which is what happens during HEPA tests). 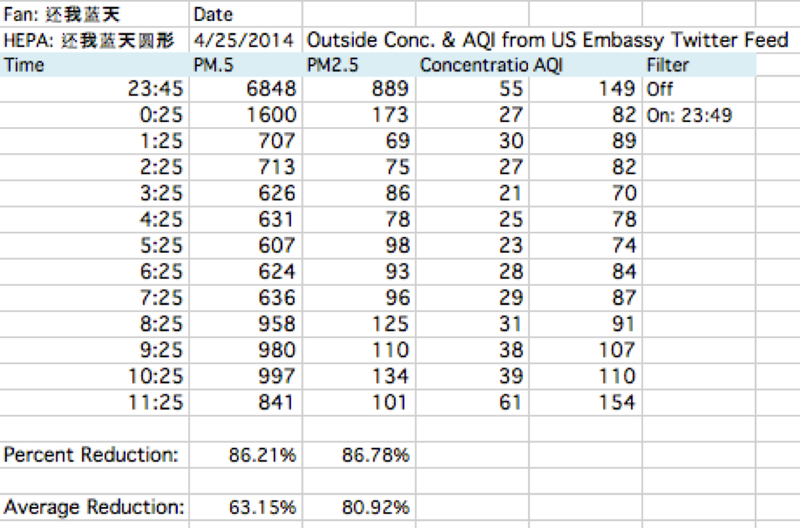 My earlier posts have the raw data for the Original (0.5 microns and 2.5 microns) and the Cannon. 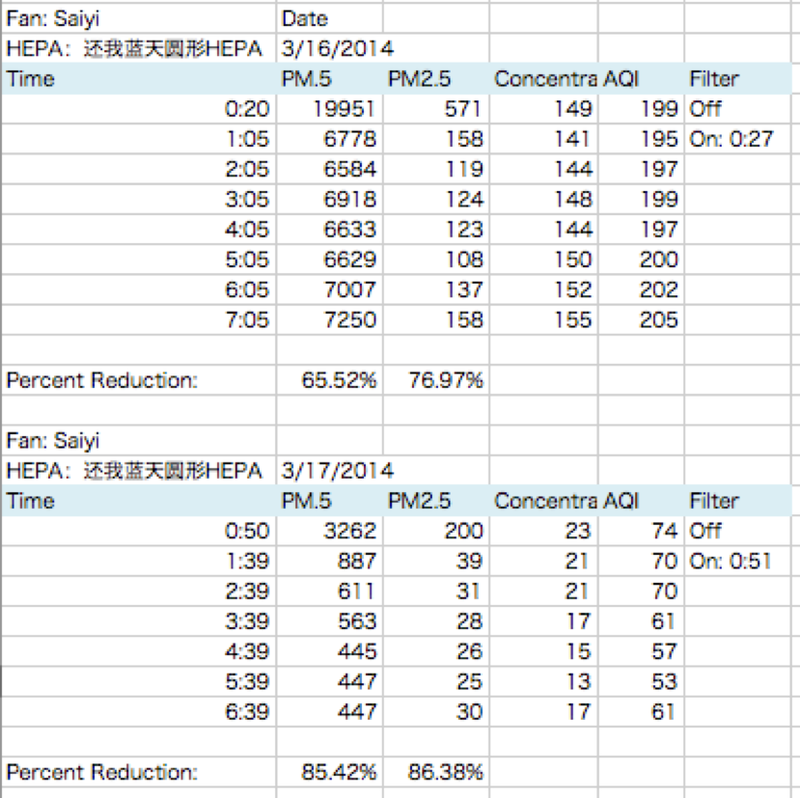 I’m posting the raw data for the 还我蓝天 and the 还我蓝天 + Original fan here. 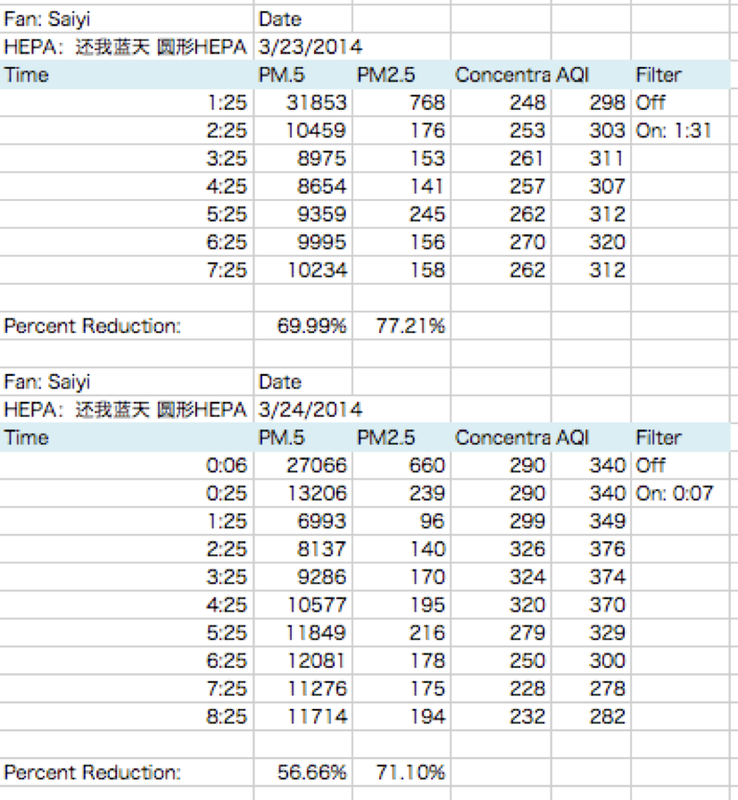 On that day, the 还我蓝天 removed 66% on 0.5 microns and 77% of 2.5 microns. That’s within 2% of the overall average of 67% and 79%.